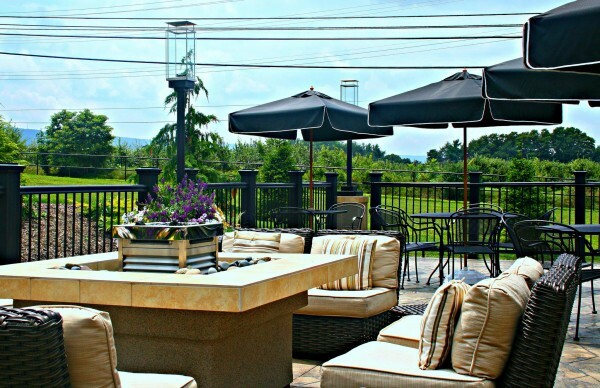 Gigi’s Restaurant and Wine Lounge, located just two miles outside of downtown State College, gives its guests something different by offering a wide variety of menu items that take advantage of local food sources. I spoke with manager Rebecca Larsen to find out what local companies Gigi’s uses and how this affects the development of their menu. Both Larsen and the chef are relatively new to the restaurant, coming in last year with a vision to create a southern inspired restaurant and bar. She said that her and the chef work together with local providers to see what fruits or vegetables they have and then figure out how they can incorporate that into a menu dish. For example, Tait Farm is one of Gigi’s food providers, and has had a lot of spinach lately. So a couple of weeks ago, the menu featured a petite filet with spinach.